Congestion, allergic rhinitis, a deviated septum and mouth sores are just a few of the varied health problems that occur in this region of the body. Information about ways you can relieve symptoms at home and when you should see a physician can be found in this section. Inspire therapy works inside your body with your natural breathing process to treat sleep apnea. Implanted during a short outpatient surgical procedure, it continuously monitors your breathing patterns while you sleep. 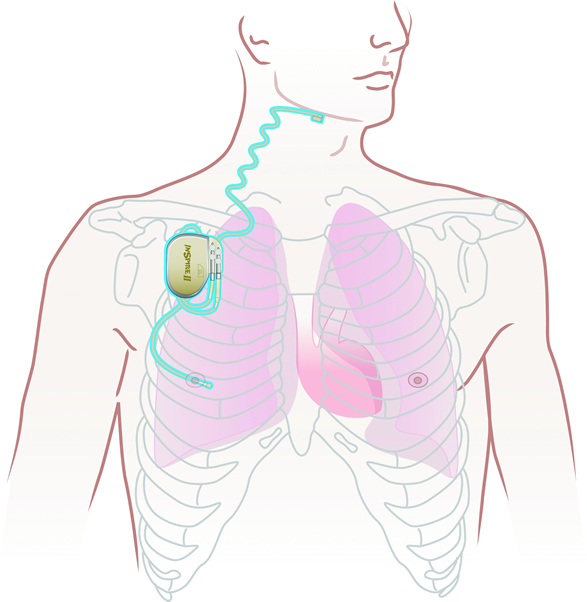 Based on your unique breathing patterns, the system delivers mild stimulation to key airway muscles, which keep the airway open while you sleep. Many surgical advances are being made in this area. Procedures such as tonsillectomy and facial plastic surgery are becoming less invasive, and new procedures are being developed to treat serious problems such as cleft palate, sleep apnea and deafness. Children face many of the same health problems that adults do, however symptoms may show themselves differently and treatment methods that work well in adults may not be appropriate for children. This section identifies common pediatric ENT, head and neck ailments and what you should ask your child’s doctor about diagnosis and treatment.